As specialist caravan brokers established in 1960 we offer bespoke policies ensuring you get the price and cover you require with a great range of add on products. Our dedicated support/admin and claims team are UK based and specialise only in the products we offer. Our policy includes accidental damage cover whilst towing, options for European cover, public liability, policy excess and breakdown cover. Standard cover includes verandas, decking, skirting, site clearance, £1,000,000 public liability cover, options to increase to £5,000,000. Our cover can include options for statics rented out and permanently lived in. Covering park homes complying to BS 3632, various public liability options available. Our policy covers a wide range of emergencies, breakdowns and incidents around your home. Not only are we here to help with major incidents, but we also take care of the little things, so you don't need to worry about blocked toilets or dripping taps. We can help you find a policy that will perfectly suit your needs. With impressive standard cover and a comprehensive list of add-on options you’ll find a policy that is as individual as you are! Get a quote now! 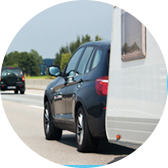 Our unique policy covers both the car and the caravan even if your caravan suffers a puncture our providers will come and help you. Nationwide recovery is included, onward travel, emergency accommodation. Peace of mind breakdown cover for your car and your caravan, covering both for mechanical faults and punctures to get you back on the road again. Get a quote now!